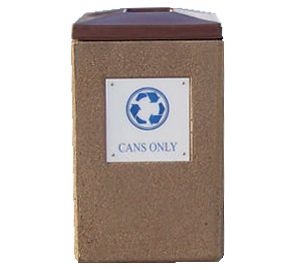 Heavy-Duty concrete recycling waste receptacles offering a durable low maintenance solution for recycled waste collection. 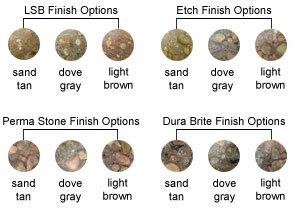 The heavy-duty concrete construction is also a great safeguard against theft and vandalism. Each receptacle is fitted with a 12"Sq. sign that clearly identifies the receptacles as apart of a recycling program and encourage compliance by labeling the specific recycling waste collected. Includes White & Blue Waste Specific Sign.